This summer, while some families are lying on beach blankets, others are making snow angels at Southern Hemisphere resorts that are celebrating “winter” with crisp ski deals. 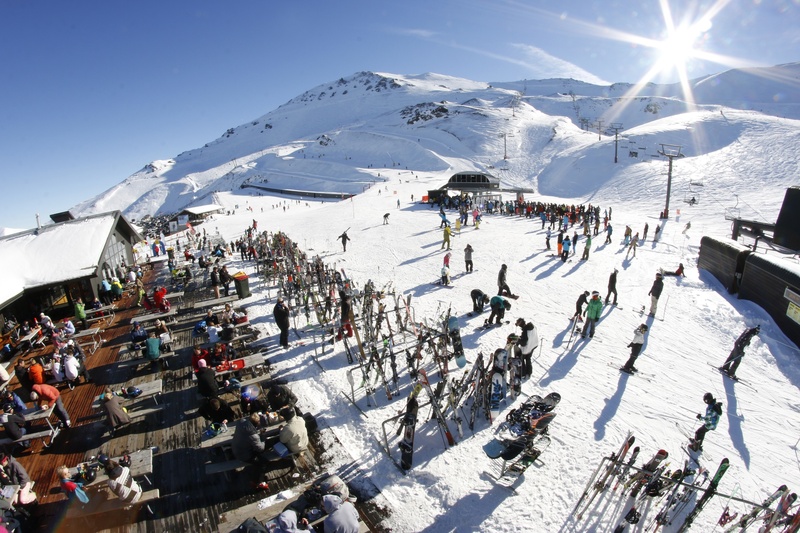 For example, June 2, 2018 — the Queen’s Birthday long weekend — marked one of the earliest openings ever for Coronet Peak, New Zealand. This mountain resort, located about 20 minutes outside Queenstown on the South Island, is open full time June 16 through October 7, 2018. Coronet Peak features lots of family-friendly terrain served by the Coronet Express and Meadows Express quad chairlifts. 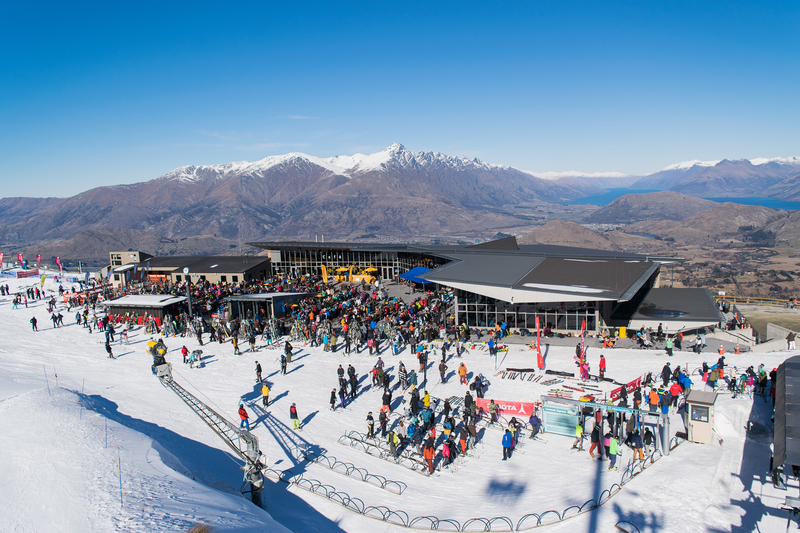 Queenstown’s other major resort, The Remarkables, is open too, and both are available to pass holders. Coronet Peak, Mt Hutt and The Remarkables work together as part of the New Zealand Ski consortium. We asked public relations manager Frederique Gulcher about lodging facilities for families at the Queenstown area resorts. Because Coronet Peak is in Queenstown’s downtown central business district, she explained, there is no accommodation on the mountain. However, as New Zealand’s most visited tourist destination, visitors have plenty to choose from in town. The Duke street bus center provides regular transportation to Coronet Peak and to The Remarkables. Of course, skiing and snowboarding are just as big family sports Down Under as they are up north, in the northern hemisphere. At Coronet Peak, noted Ms. Gulcher, kids 5 and under ski free of charge. Coronet Peak has expanded its offerings by adding night skiing, every Wednesday through Saturday, all season long. A lifesize Ice Castle built by a team from Utah provides family fun and a fantastic slide, made entirely of ice. There are also more opportunities to sightsee via chairlifts in these beautiful mountains for non-skiers and non-riders. Base area at Mt. Hutt, opening day June 2018. “If they’re 10 and under, kids ski free at Mt. Hutt, also one of our mountains in Canterbury,” she added. Among all the South Island resorts, Mt. Hutt is known as a very good family option, because it’s 30 minutes from the ski town of Methven and has lots of free accommodations for children staying in their parents’ room, as well as free resort activities for kids under age 11. That doesn’t make it “easy” — the 900-acre ski field won the “Best New Zealand Ski Resort” at the World Ski Awards for the years 2015, 2016 and 2017. We can’t help but think of super heroes every time we hear the name, The Remarkables, and these are truly heroically beautiful moutains. Located about 40 minutes from Queenstown, this resort is also accessible by public transportation and boasts many family amenities. The Remarkables has learner conveyors — a Magic Carpet style transportation system for beginners, as well as a terrain park with six features called Calypso, where kids can practice freestyling. The six-seater, high speed Curvey Basin and four-person Alta, Sugar Bowl and Shadow Basin chairlifts provide easy, quick access to a wider variety of intermediate and expert terrain. 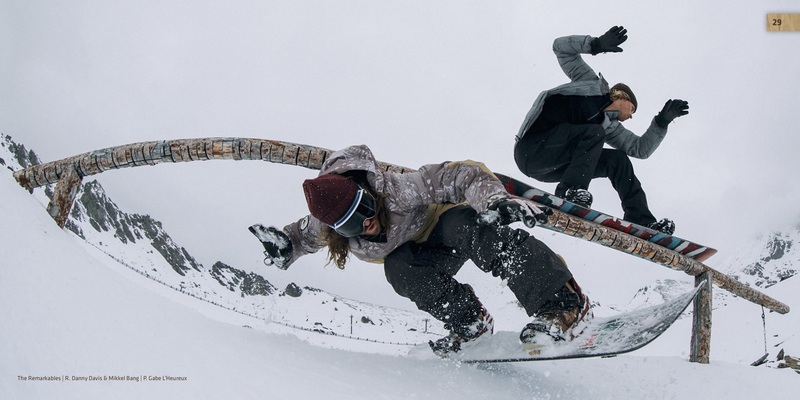 R. Danny Davis and Mikkel Bang test out the Burton Stash Park at The Remarkables. Photo by Gabe L’Heureux. On September 8, 2018, they will celebrate 10 years of the Burton Stash, the terrain park designed for learners by the Vermont-based snowboarding pioneers. Known for its rolling descents and classic fall lines, The Remarkables Stash Park is one of only six Stash Parks globally and the only one in the Southern Hemisphere. Apparently, it’s considered by Burton to be among the most unique snowboard terrain parks in the world. Celebrate free of charge by trying out a custom-built course of hits, berms and features on that day, and taking advantage of resort prizes, giveaways and a free barbecue. Whether a skier or snowboarder, visitors can take advantage of the Kea Kids Club (the Kea is a native bird and also the name of the mascot at The Stash) all season long at The Remarkables, which has recently been upgraded too. To get the most out of your Kiwi ski adventure, go local. Favorite snacks include the breakfast burrito at the new coffeebar and the region’s famous savory pies. The popular Ice bar, a mid-moutain halt for bacon butties and other snacks, is one of the mountain’s most scenic spots. For apres-ski, it’s anywhere you can pull up a stool and try warm cheese rolls with a glass of Amisfield sparkling wine.